So I’m gonna make myself vulnerable here! I’m trying to build a decent plugin library. I’m listing below the plugs I most commonly use and would like some honest feedback and recommendations. Most of what I have is freeware, but I’ve been quite particular about the quality of freeware plugs I use. All have been highly touted and aren’t listed here if I haven’t tried them and liked them. Next on my list of purchases probably is going to be Waves Classic Compressors Bundle, or something similar I’m looking at adding something in the way of FET/Opto, at Jonathan’s recommendation (Thanks, Jonathan!). Also probably the Schepps Omni as a channel strip. I’m a home hobbyist/songwriter/guitarist/newbie mixer/worship leader in my church. I do not do this professionally. I do primarily guitar work (I have Amplitube and Guitar Rig, but mainly use S-Gear as my amp sim). I have Addictive Drums 2 (awesome, awesome tool! ), A number of Kontakt and synth plugs. Skarbee Rickenbacker Bass plug (which I don’t use very much actually). I’m not so much looking at more synth/instrument plugs, but more wanting to balance out my mixing library. Oh, I use exclusively REAPER on the Mac. Of course I have all of the ReaPlug plugins, which are quite nice. So, sorry for the long post, but I’m new here, impressed with the forums and knowledge over here and am eager to learn. Please tell me how I did so far in building my library and where I can improve. FromTape is a minimalist, cleaner analog tape emulation. Iron Oxide 5 is the old school, heavily colored Airwindows tape emulation. Iron Oxide Classic is the purer, simpler, early form of Iron Oxide before all the features. ToTape 5 is the highest quality Airwindows analog tape emulation. SGA1566 (Shattered Glass Audio) – the absolute best freeware tube preamp emulation out there. bx_solo (brainworx) - rx’d by BPR, but very bland, ugly interface. Guitar Gadgets - interesting app with a number of plug-ins that do interesting things. (guitargadgetsmac_1_3_4.zip). Hey @miked, you use a good number of freeware plugs… don’t you? Or was that someone else? Any recommendations? Or anyone else who has a lot of experience with freeware? When I worked with Tesgin on the last mix, I demoed some of his freeware verbs so I could find one that I could use on his session I could use on his mixes and then be able to send them back to him. Out of the reverbs, I think the one I ended up using on his last mix was Oril River. The first thing that comes to my mind as an ideal upgrade (besides the Waves comps and Scheps) is the Valhalla Vintage Verb. Thoughts? And Teagan… do you have an autotuner? … do you have an autotuner? Just the autotuner in ReaPlugs, ReaTune. I’m pretty impressed with it. Kenny Gioia has a pretty decent tutorial on it here. The other question is, do I use it. Answer: not enough! Scheps Omni - I don’t know if you have that in a bundle but its the darned finest channel strip I’ve used. Wait for it to go to $29 at some point. Mercuriall is a great place to pick up some free guitar pedal plugins - their amps are spectacular and do go on sale every so often. Kind of a meta question, but why do you want more plugins? Are there things that you wish you could do that you can’t? Or a plugin that you wish you had a better quality version of? Hey @miked, you use a good number of freeware plugs… don’t you? … Any recommendations? It looks like @Tesgin is already hooked up pretty well and there are a couple of repeats with what he’s already got, but for posterity’s sake, I went ahead and created a thread. Tegan reached out to me to help him with a mix a few months ago. He sent me the Reaper session, and I mixed it with a list of his plugins and sent it back to him so he could study it and continue to fine tune it. Since then he’s asked me a number of questions about upgrades. I recommended him to this forum because many members of this group have a broader knowledge of freeware tools than I do. On the first mix, I struggled a little bit with the limitations of his compressor library before he had the Klanhelm and the Molot. Its seemed (to me anyway) that his goal is to get in a more comfortable position software wise to really dig and study production, but when I first spoke with him his shortage compressor options were really holding him back. He’s made a ton of progress since I first started working with him! The Scheps Omni is on my buy list, hopefully Black Friday. Yeah, I capitalized on the Izotope Elements thing last month from PB. Installed but haven’t used it yet. I saw the Neutron thing but haven’t had a chance to d/l, but I will. I’ve never heard of Kuassa Amps. Will check them out. Anyone know how they compare with S-Gear? Will check out Mercuriall too. THANK YOU! Great question. Actually, I’m very much of a less-is-more kind of guy. I’d rather have fewer plugs, but good plugs. So, no, I wasn’t wanting more plugs; I was wanting feedback on the plugs I have, and rx’s on how to better my library. So, not more tools, but good tools. He also rx’d the Scheps Omni. Definitely doing that. I do like the plugs I have, though. No dissatisfaction there. Just wanting a critique and rx’s. Doesn’t have to be freeware, but I’m not doing this professionally either. Hobbyist and loving it! So I’m looking to make better mixes, and more quickly. I know it’s not all about “more plugs,” but I also know your toolbox is important. So what about convolution reverbs? Waves has one in one of their bundles. ReaVerb (REAPER’s plugin) has a decent convo verb. I am impressed with the sounds there, esp with some pretty decent impulses I’ve been able to pick up. Would love to hear peoples’ thoughts, though, on the use of these? I’m under the impression they are not used heavily. Is it cuz of CPU hit? Are there certain sounds they should not be used on? Why are they not used more. What do y’all use for verbs? What do y’all use for verbs? I have kind of a lot of reverbs, at least compared to how many total plugins I have haha. The ones I go to quickly are usually SoundToys Little Plate, and the one in iZotope Nectar 2. I just think that these sound great in general; sort of plain but beautiful. I also have Waves H-Reverb and Abbey Road Plates, and a couple from Native Instruments called RC-24 and RC-48. 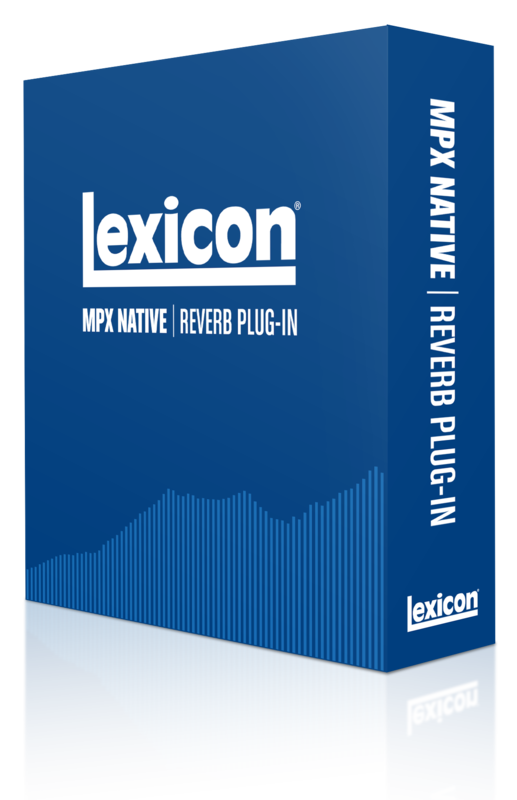 I also have this plugin from NI called Replika XT. It’s a delay plugin, but it has this “diffusion” mode which I freaking love the sound of. I probably over use it, haha. SoundToys EchoBoy has some great reverb-like effects as well, even though it’s a delay plugin. I guess I also have a bunch of reverbs in NI Guitar Rig Pro. And honestly I do use those sometimes if I want something special. There’s this cool “ice” one. In general… for the most part I filled out my plugins with bundles. I have iZotope Music Production Bundle 2. (A little out-dated now, but I don’t care.) Native Instruments Komplete Ultimate 9. (Also out dated, but I got a great deal on it used. And it’s still a heck of a lot of great stuff.) These 2 bundles gave me basically everything I needed. I bought SoundToys 5 because I love effects, and that’s been super fun. Celemony Melodyne for vocal tuning. Waves Classic Compressors at Jonathan’s recommendation. I do use these all the time, so it was a good buy! Anyway I’m no expert in plugins. I understand wanting to have good tools, but not being experienced enough to know a good tool from a bad one. I’m sort in that boat, haha. I just trusted reviews and recommendations and then stuck with what I’ve got. I read the manuals for the iZotope plugins, and they were very helpful. At this point I am certain that if my mixes aren’t good, it’s in no way the fault of my plugins. Hey @Tesgin… if you wanted some quick practice mixing, we used one of her songs “Wasteland” for a contest we held on this site. I think the link to the multi-tracks and stems are still downloadable on the forum. Its a really fun song. So what about convolution reverbs? Waves has one in one of their bundles. ReaVerb (REAPER’s plugin) has a decent convo verb. I am impressed with the sounds there, esp with some pretty decent impulses I’ve been able to pick up. Would love to hear peoples’ thoughts, though, on the use of these? I’m under the impression they are not used heavily. Is it cuz of CPU hit? Are there certain sounds they should not be used on? Why are they not used more. If you get a Waves Convo verb, I’d do the IR-1 full. The reason is because it comes with a free 5gb library of highly usable stuff. I also like the H verb because of its enormous flexibility. I wouldn’t say they’re not used heavily - But I never really thought about it… now that you mentioned it, I guess I do use more algo verbs at the moment, but I was really big into convo verbs before the last couple years. I keep seven verbs set up on my aux busses when doing music. My template loads with Waves Abbey Rd Plates, EMI Plates (Those convo verbs by he way), Softube Tsar, Exponential Phoenix, Liquidsonics Bricasti, Relab LX480, and the Valhalla Vintage Verb. My go-to for special effects verbs are AudioEase Indoor, Vienna Mir, Waves H verb, R4, and Eventide Blackhole. … if you wanted some quick practice mixing, we used one of her songs “Wasteland” for a contest we held on this site. I think the link to the multi-tracks and stems are still downloadable on the forum. Its a really fun song. you know, I think I’ll check that out. Won’t have time this next few weeks to mix, but over the holidays I will. Will hold off until I upgrade my plugs next week! … for the most part I filled out my plugins with bundles. So, any thoughts on the plugs in the Waves Gold bundle? I mentioned above I’m a less is more kind of guy. I don’t wanna have a million plugs that I don’t really use (and so don’t really know well). It does seem there are some decent plugs in there: I’ve heard great things about the renaissance compressor. H-Delay stands out to me. So, it includes the IR-L Convo that Jonathan mentioned. TrueVerb any good? I already have Vitamin (which is awesome, btw) and Doubler (which I don’t use as much as I thought I would). On another note (off topic! ), as I’m writing this post, I’m listening to the winning mix of your Wasteland piece, Cristina. Wow. What a beautiful song! The arrangement just works. And the winning mix was, wow. I’m blown away, honestly. The emotion in your voice has a wonderful synergy with the “emotions” of the instruments (can instruments have emotion? I think so). I absolutely love the percussion at 1:25 and the build especially starting with the decrescendo at 2:32. Perfect. The dynamics in this song are so powerful. The electrics. I could go on. I just lose myself in this song! It just works. That’s an amazing bundle at the pre-black Friday $99 price. In addition to ones you already have, highlights to me are the MV2, H-Delay (which has been my to-to for years), PS22 (Which can take a mono signal and make it stereo), R Axe, and R comp - which are two excellent digital comps, and imager which is really good at making things wider. I would LOVE to see you pick up that set. Many of them compliment those Classic Comps, so don’t think of it as a replacement for those, but rather something adds to them. So, it includes the IR-L Convo that Jonathan mentioned. TrueVerb any good? Both are really good. I used both for years. The arrangement just works. And the winning mix was, wow. I’m blown away, honestly. The emotion in your voice has a wonderful synergy with the “emotions” of the instruments (can instruments have emotion? I think so). I agree! That winning mix was killer. I don’t own anything by Lexicon, but I can definitely recommend Valhalla Vintage Verb and SoundToys Plate. Also, the Melda free pack now includes a convolution reverb. I haven’t tried it out yet, but re: Melda plugins - if you can get your head around the UI, they are insanely powerful and versatile. Could certainly be worth checking out. If you get it from AudioDeluxe.com, it’s only $74. I just put it in my cart to check it out. Heck, I don’t even want it and I’m tempted. With Black Friday coming up though, there will be a lot of good deals! I’ll mention this in case no one has yet–some companies make it easy to buy used software. Native Instruments is one of the best I’ve seen here, which is a main reason I went with Komplete. And always check eBay–back when I bought my iZotope bundle I got it for over half off on eBay. You have to be careful if anything is too cheap because it’s probably a hacked version without a real serial number, but there are some good deals to be had. Another thing I’ll mention is that sometimes it’s handy to have a popular plugin because then you’re more likely to see people using it in their tutorials. That can make it easier to follow along. If you have a favorite mixing “guru” that you like to watch, it may be useful to pick up some of the plugins that you see them use all the time. Not because the plugin is the silver bullet or even the best plugin, but because it will help you to learn from them more easily. I’ll mention this in case no one has yet–some companies make it easy to buy used software. Native Instruments is one of the best I’ve seen here, which is a main reason I went with Komplete. And always check eBay–back when I bought my iZotope bundle I got it for over half off on eBay. I got my UAD licenses used. A lot of my BFD expansions too. Plugin Alliance sounds pretty reasonable - $20 per plugin with a $50 cap per account transactions for multiple plugs. Never tried to buy a Waves license used.